It's a million-dollar view. A multimillion-dollar view. It's a view that's not without controversy in these parts, but Pfendler Vineyards is in a process of transformation. If there's anyone who looks good coming out of a chrysalis, it's got to be Kimberly Pfendler. 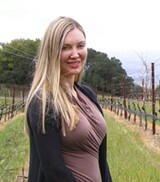 Standing beside a two-story, white fireplace in her Mediterranean-styled villa on a recent morning, Pfendler, blonde and winsome, describes to a group of assembled journalists on a press junket who are sipping Pfendler 2010 Sonoma Coast Chardonnay ($38)—baked apple, crème brûlée with grassy lightness over solid, chalky acidity—how her late husband moved here while still in his 40s, to ranch cattle. Locals may remember that from his perch on this aerie, Peter Pfendler wrestled with the city of Petaluma in a decade-long dispute over adjoining Lafferty Ranch, a would-be public park. Pfendler, a Vietnam combat pilot and aircraft-leasing entrepreneur who died in 2007, is remembered as an ardent conservationist in some circles, as the grinch who stole Lafferty in others. Anyhow, after some tumult, and after the issue had long faded from the front page, he met and married Kimberly in 2004. A graduate of UCLA film school, Kimberly worked in the film industry. Through friends she met Pfendler Vineyards winemaker Greg Bjornstad, whose experience at Flowers Vineyard established him as a Pinot Noir guru. Bordeaux-man Peter had planted some iffy grapes up here in the crosshairs of the cool Petaluma Gap winds, later experimenting with Pinot Noir; Bjornstad has T-budded vines to old, so-called California clones like Calera and Swan, which are said to ripen more slowly than more recent imports. Up here at 2,000 feet, says Bjornstad in the little Helgren Vineyard, the vines get plenty of sun for photosynthesis, without the heat. Down below, overlooking a vineyard named for Kimberly's parents, he hands out samples of the new 2011 Pinot Noir. It's deep and brooding, with notes of mint, anise, and licorice. Kimberly's father, a hale Minnesotan who is no stranger to construction, attractively rehabbed this 1960s ranch house, hand-salvaging stones from around the property. Louis XV–style furniture dots the spacious front room, but there is no public tasting here. 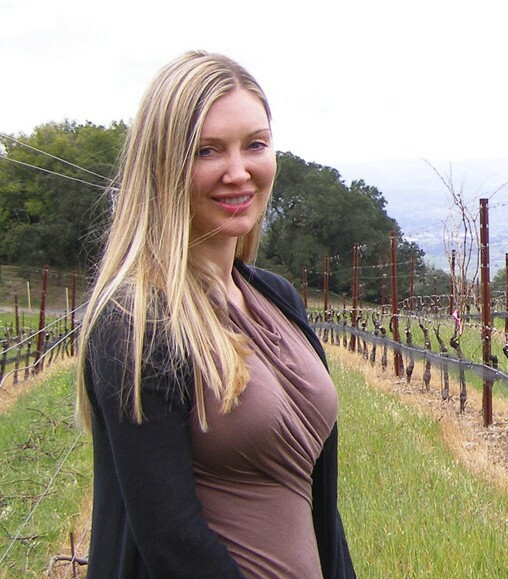 Pfendler wines are on offer at Healdsburg's new Vin Couture Lounge. The 2010 Pinot Noir ($45) is deep in color, deeper in aromas of black licorice and cherry, and coats the palate widely in black cherry fruit and even tannins. Clearly, these grapes have benefited from their prime real estate—it's like drinking in a million-dollar view. Pfendler Vineyards, Petaluma. 707.765.5997. Vin Couture Lounge, 320 Healdsburg Ave., Healdsburg. By appointment or Swirl After Six, 6–10pm, Thursday–Saturday. 707.431.8161.